From July 3 – 6, Xi will visit Moscow and Berlin, ahead of attending the July 7 – 8 G20 summit in Hamburg. He’s visiting Russia for the sixth time as China’s president. Since taking office, he and Putin held 20 previous talks – their relationship close and strengthening. “(t)he close working relations between the two heads of states and their personal friendship has become a ‘locomotive’ in the development of bilateral relations between” their countries. “They…exchange views on almost everything, which reflects the high levels of political trust between” them and their nations. In Moscow, they’ll approve implementation of a bilateral Treaty of Good-Neighborliness and Friendly Cooperation. China is Russia largest trading partner. Through May 2017, volume increased by 26% to $32.4 billion year-over-year. “China cannot remain inactive against US provocations…(Its) unfriendly moves” include congressional action, approving provocative Taiwan port visits by Pentagon warships. On Thursday, Treasury Secretary Steven Mnuchin announced illegal US sanctions on China’s Bank of Dandong, Dalian Global Unity Shipping Co., and two Chinese business officials – accused of running front companies for North Korea. The Trump administration announced a $1.4 billion arms deal with Taiwan. Selling weapons to its government remains a significant irritant to Sino-US relations. Its Foreign Ministry spokesman Lu Kang blasted the imposition of sanctions, calling them “wrong moves,” violating “consensus” reached in April between Xi and Trump at Mar-a-Lago. US and Australian naval forces began their largest-ever month-long joint amphibious exercises – provocative saber-rattling aimed at China and North Korea. He’s militantly anti-Beijing/anti-Pyongyang. 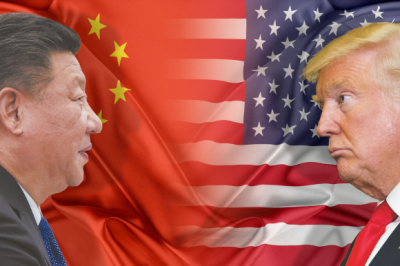 In response to the Trump administration’s hostile actions, the Global Times said it’s “testing China’s will and wisdom” – stressing the importance of “perform(ing) firmly and steadily” in the face of a potential adversary.